Remodeling in Advance of a Sale? Pay Extra Attention to the Kitchen. Sellers: If you want to spruce up your home before putting it on the market and are wondering where to focus your attention, look no further than the kitchen. Prospective homebuyers will remember a bright, attractive kitchen with high-end appliances and designer features long after they have forgotten the color of the living room carpet or window treatments in the master bedroom. It’s no coincidence that kitchen amenities were at the top of a recent list of the seven upgrades that have the most influence on buyers. The list was compiled by David Barca, vice president of Pacific Union’s Silicon Valley region, and was published on this blog in March. High-end kitchen appliances ranked No. 1 on the list, followed by natural stone countertops and fine details such as faucets, light fixtures, and cabinet knobs. Countertops with extra power outlets that pull double-duty as a charging station. If your kitchen is particularly small, it’s important that you take steps to brighten the room. Dark spaces appear smaller, so make sure that windows allow as much sunlight as possible to flood the room. If that’s not enough, add attractive light fixtures and turn them on during homebuyer open houses. 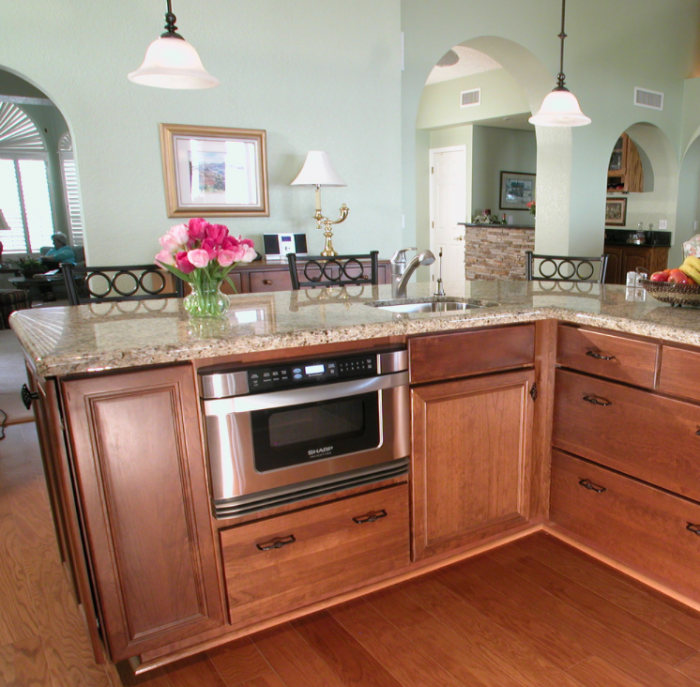 Also, remove clutter and appliances from countertops to make the space appear cleaner and larger. Are the cabinets stained a dark color? Paint them white to reflect light and help make your kitchen feel much bigger and open. Whether you’re making small improvements or undertaking a major remodeling job, homebuyers will remember attention to kitchen details.